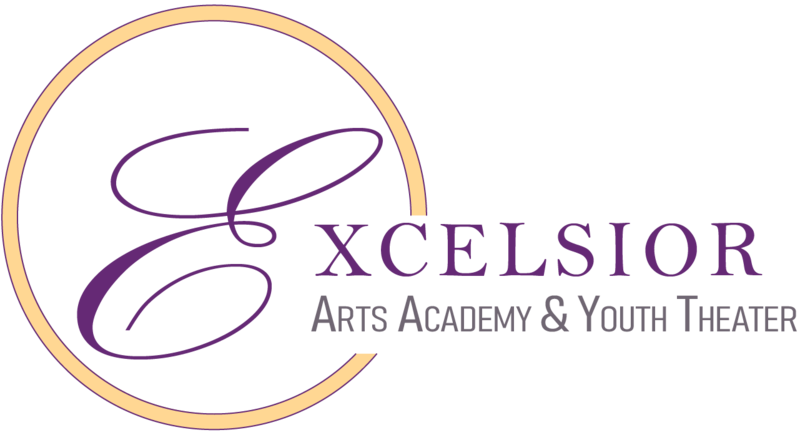 Welcome to Excelsior Arts Academy & Youth Theater! Students can take a wide range of classes in theater, vocal music and stage movement and then put those lessons to use through the various productions Excelsior stages each year. At Excelsior, the student is the focus and what they receive is confidence and poise. The academy provides a nurturing environment where students feel safe to take chances without fear of failure or ridicule. Excelsior provides a space where young minds can expand and achieve things they had only dreamed. Excelsior Academy – truly striving to take the student Ever Upward! The academy holds classes in theater, voice and stage movement for young people ages 8 to 22. We also have private voice and theater lessons for young people over the age of 13. We have a spring and fall semester. Classes cost $140 each. There is also a registration fee of $35 per semester. The fee is paid once, regardless of the number of classes a student takes. They meet 50 minutes each week for 9 weeks. Classes start at 5 pm and end at 7 pm. Most of our classes are on Tuesday, Wednesday or Thursday. We will have our class schedule for the fall finalized in mid May of this year. The youth theater produces three shows per year – Spring, Summer and Christmas. Our shows are also aimed at youth 8 – 22 with the exception of the Christmas show that is open to the community and has actors of all ages. There is a registration fee of $35 for each show. If a student takes classes, that fee is applied to those classes and does not need to be paid again. Our Mission: To foster an educational and nurturing environment where developing performers can be opened to think for themselves and to be respectful of themselves and others. Excelsior is where we train minds, bodies, voices and spirits to achieve that end while providing art and education to the greater community.